Panel on dOCUMENTA (13): "The dance was very frenetic... and lasted a long time." A lecture by Carolyn Christov-Bakargiev, Artistic Director dOCUMENTA (13). Followed by a discussion with artists Mariam Ghani, Joan Jonas and Michael Rakowitz. 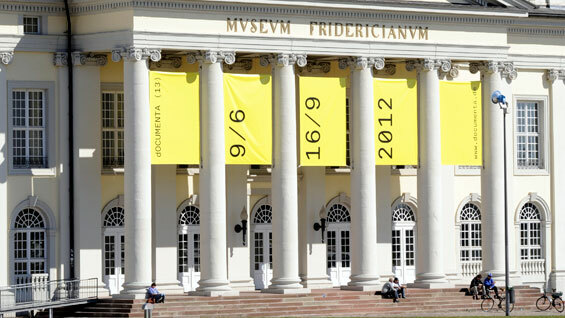 dOCUMENTA is a major group exhibition of modern and contemporary art which takes place every five years in Kassel, Germany. The 13th edition just closed its doors with record attendances of 860,000 in Kassel and 27,000 in Kabul where seminars and an exhibition were held. In her lecture at The Cooper Union, Christov-Bakargiev will reflect on the numerous ideas, practices, actions and events that were developed in the exhibition and its publications through the observation of how temporality can articulate spaces, our relationship with time generally, and issues of collapse and recovery. The lecture will be followed by a debate with participating artists Mariam Ghani, Joan Jonas and Michael Rakowitz. Carolyn Christov-Bakargiev is a curator and writer based in Rome, Kassel, and New York. Previous positions include senior curator of exhibitions at P.S.1 Contemporary Art Center, a MoMA affiliate; chief curator at the Castello di Rivoli Museum of Contemporary Art (and interim director in 2009); co-curator of the 2005 Turin Triennial, and artistic director for the 16th Biennale of Sydney in 2008. As a writer, she has been interested in the relations between historical avant-gardes and contemporary art and has written extensively on the Arte Povera movement, and has published monographs on William Kentridge, Pierre Huyghe, and Janet Cardiff and George Bures Miller. The event is free and open to the public. Seats are limited and RSVP is required. Please arrive 20 minutes before the lecture to check in.